Today both small and big companies run their corporate websites offering a wide range of services and products. 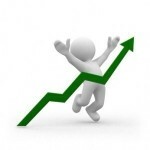 Website owners work toward a common goal – to capture more customers and make a higher profit. So they inevitably start looking for the ways how to move forward their websites, outdo their competitors and meet as many customers’ eyes as possible. But what it actually takes to move forward? What resources should be used to make online business blossom? And is there some deep insights you should apply to reap benefits from your website? In this post we’ll resolve these questions and will talk about SEO as the best solution to rock your website. But if you want to get the jaw-dropping results, you’ll have to properly handle different facets of SEO with the help of special tools and software. No wonder that every year there are popping up new SEO tools while the old ones get updated and modernized. There is a good reason why we talk about tools, in plural. If you want to get organic and customer-trusted spots on search engines, you’ll have to combine a variety of SEO tools to bring your website atop the search results page. Our SEO specialists will lift the veil of their favourite and best-performing tools and software. So you’ll have a chance to emulate the best strategies by your own. Read on to learn more! And if all the steps are done properly, then odds are good your website will be blessed by Google with top rankings. But before that you have to decide on your right-hand SEO tools that will lead you through all the stages of SEO strategy. 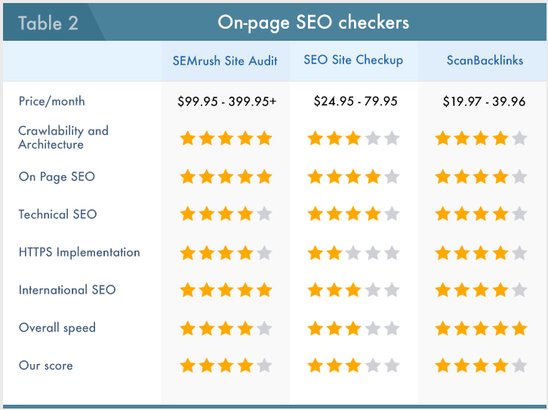 On-page SEO checkers: SEMrush site audit, SeoSiteCheckup, ScanBacklinks. And desktop tools: Screaming Frog, Netpeak Spider, Xenu. Let’s take a gander at each of the group and learn how you can lash together your best efforts to end up with an amazing SEO results! At the outset of any website launch and promotion you’ll face the importance of keywords selection. The well-done keyword research will provide you with the so-called “entry points”, i.e. words and phrases that will let your intended audience find your website among the other ones. Your site’s success heavily depends on the correct keywords choice. Whereas even some slight mistake on the stage of keywords selection can result in low SEO efficiency and deprive you of a swarm of visitors at your website. The negative effect of an inappropriate keywords selection is especially viable for websites intending to convert their visitors into customers. You should approach the task of keywords selection with the utmost seriousness because it influences your link building budget and chances to beat the rival websites. If you want to get the perfectly selected keywords for your website, you can rely on LinksManagement. Or if you want to find out the most relevant keywords to target for, order our keyword research audit. Besides, you can take a glance at your competitors’ keywords so to compare your chances for success and take an immediate actions to boost your website. In the following paragraphs you’ll get a clue what keyword research tools are used by our SEO specialist and will know why you should get them as well. Price: You can choose to pay on a monthly or annual basis for SEMrush services, and choose between Pro, Guru, Business, or Enterprise plans. Prices start from $99.95 to $399.95+ depending on the plan. SEMrush is one of the most well-known and worthy SEO tools. It is not for nothing that Disney, Amazon, and eBay rely heavily on SEMrush to monitor their online marketing campaigns. 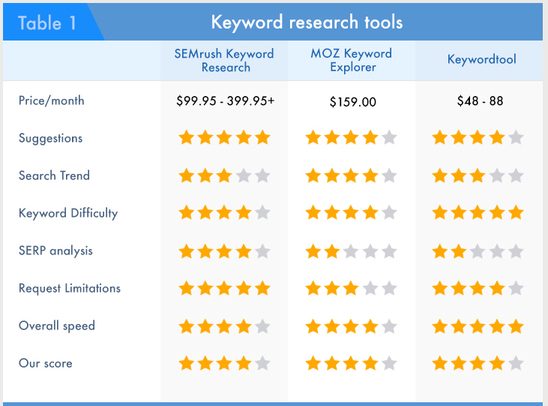 SEMrush Keyword Research tool is easy and clear from the one hand, and on the other one it is powerful and comprehensive. The major distinction between SEMrush Keyword Research and other similar tools is that in order to reveal the keywords that are ranking for your website (or your competitors’) you just need to add the website URL. And that’s it. All you need to outgun your competitors and become better is plainly visible: short-tail along with long-tail keywords are just here for you to take them and put into action. And a whole lot more bits of information that will come in handy when managing your SEO campaign. Price: Moz offer to try their 30 days trial for FREE. After 30 days, they charge $159.00/month. Moz is another giant in the SEO world offering a great toolkit for rendering different analyses and researches. Our SEO team got used to using Moz Keyword Explorer to find new keywords. The most outstanding peculiarity of this tool is that it enables you to reveal topically similar keywords, i.e. synonyms instead of cognate keywords. This is one the best ways to dig out for some alternative keywords to rank for. Plus, it bears a great potential to enrich your site with more actual and topical information than ever. Once we’ve discovered some extra keywords to pursue, we add them to our keyword list to compare a bunch of valuable metrics such as search volume and ranking difficulty. However, for some keywords Moz is still lacking search volume. Anyway, you can find the missing search volume info on this or that keyword in Keyword Planner. Price: Basically, the tool is free. But if you want to get some extra features, you can pay for one of three available versions: Pro Lite for $48/mo, Pro Basic for $68/mo, or Pro Plus for $88/mo. Keyword Tool is one more kit in our top three. This is an online keyword research tool for generating long-tail keywords. To our opinion, this is one the most worthy alternative for Google Keyword Planner so far. Our SEO specialists often use it for developing SEO copies since the tool overwhelm you with a multitude of long-tails suggestions per a single search query. For another thing, our SEOs are favorably impressed with the speed, precision, and foolproof design of the tool. Plus, you can get keywords both for your websites and mobile apps as well. Consider using Keywordtool.io for drawing relevant keywords to target. Nevertheless, the tool provides you with not the most flawless search volume results, but still, this is a great tool for mixing in more relevant keywords into your content. On-page optimization is the way you represent your website content so to make it handy both for search engines crawlers and human-users. There is a great number of factors that fall into on-page SEO. But simply put, it covers technical aspects, indexation, URLs, web analytics, relinking, content analysis, and usability. You can dive further into the matter of on-page optimization with our hands-on guide on on-page SEO. Perfectly tuned on-page SEO will provide the bedrock that your website will finally claw its way to the lucrative Google’s top spots. Usually, you have to set your on-page SEO once and forget it. But every once in a while you must check if everything is alright. And when you notice some on-page issues you have to weed them out in one go. Since any technical errors that prevent web crawlers from screening your site will result in denigrated positions of your website. Want to make sure that you are free of on-page faults? Order our On-page SEO Audit and rest easy! For you to not get lost in the abysmal sea of on-page SEO checkers, below we’ll name our favorite time-tested on-page tools. Price: You can choose to pay on a monthly or annual basis for SEMrush services, and choose between Pro, Guru, Business, or Enterprise plans. Each plan includes the site audit function. Prices start from $99.95 to $399.95+ depending on the plan. With this tool you’ll easily check your SEO strategy, monitor your SEO progress, step your website security up, fix on-page faults and more. The Site Audit Tool from SEMrush is a quick and smart way to spot simple technical or basic on-page issues your website may have. Moreover, you’ll know what’s going on with your website within minutes. Since this is exactly the time spent on the audit preparation. Once you receive the ready research, you’ll get the practical tips on how to improve any mistakes. Site audit results can be effortlessly shared with customers or developers. And the tool offers you a great way to keep track over your website improvements over time. Moreover, re-auditing is so simple you can do it over and over again to spot even the slightest changes. Price: There come three plans: Basic for $24.95/mo, Webmaster for $39.95/mo, and Professional for $79.95/mo. Each of the plans gives you a free trial period. SEO SiteCheckup analyzes your website using around 45 checks within 6 various categories. Received results are usually represented in a summary that gives a score of your website and the failed checks as well. 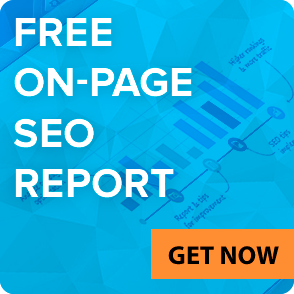 Price: You can get an on-page audit of your website for free at the very first time. After that you’ll have to choose one of 3 plans to get more audits. ScanBacklinks have elaborated an online SEO checker to carry out a thorough audit of your website and provide you with the comprehensive data on your website weak and strong points. 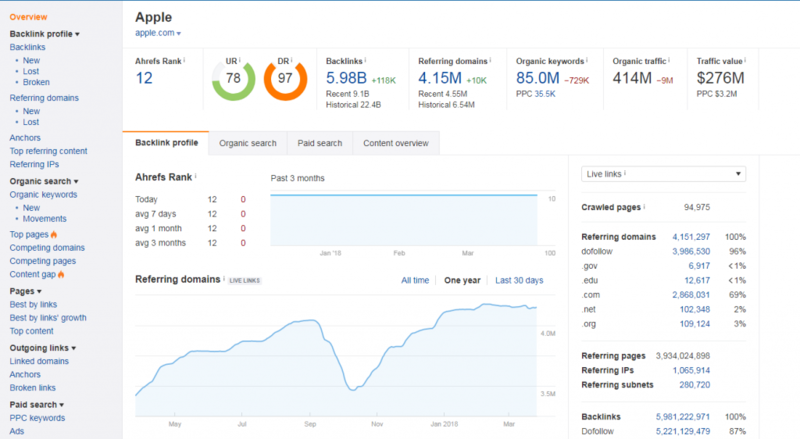 An important point is that the tool quickly spots all the faults and gives you the general score based on 350+ SEO factors so you could instantly see the perspectives for growth. Along with an automatic audit you’ll be guided by ScanBacklinks SEO specialist. You must admit that there is no better thing than a consultation with a human professional who knows how to deal with your website issues in the most efficient and reasonable way for you. And more. In any case, you won’t get lost in the received report since there are many popping windows describing all of the features analyzed. They also posted an article describing step-by-step how to read the received on-page report. Apart from handy online tools, here are 3 more desktop versions that can also become your indispensable helpers when dealing with mundane SEO issues. Netpeak Spider is a great desktop tool that checks your website like a keen search engine crawler robot and fetches out SEO flaws that degrade your website visibility in SERPs. Great if you want to quickly kick-off your SEO project and enjoy the easiness with the user-friendly interface. Xenu is a snug accurate tool that perfectly identifies all the broken links on your website. Nevertheless the Xenu’s report is represented in a little bit complicated manner, it gives you all the info you need to know about your backlink profile. Keep in mind that the Xenu tool can run only on Windows OS, that’s a detuning feature for Mac fans. After you handled two previous steps with keywords selection and on-page SEO issues, it’s high time to start your off-page SEO, in other words link building. Acquiring quality niche-relevant backlinks will signify the authority of your website. In fact, the well-balanced backlink profile is a cornerstone of good SEO. And even more, if you take care of your backlink profile you’ll outgun your competitors and get a huge traffic spike. There is definitely a huge variety of services to find backlinks to your website and to check the state of your current backlink profile. Even as you read this you can check how many backlinks you are lacking, and launch a link building campaign to get those missing links. Learn the number of backlinks you have to acquire with the help of SEO Cost Calculator, and launch the link building campaign with the help of SEO Expert Tool. Analyzing the content relevancy. You’ll see which of your posts capture more clicks and what you can do to smartly invest into content creation and attracting valuable backlinks. Building on ties between linkers and bloggers. For example, you can simply send no-spam thank you letter to target emails. Statistics gathering. You can compare statistics for each month and introduce corresponding changes if it’s necessary. But as well as you should check backlinks carefully, you shouldn’t overdo. Link building isn’t about quantity. It’s about quality instead. So if you care only about number of backlinks to acquire you’ll never have chanced to outperform your competitors. You have be out for becoming a proactive and cunning link builder so to gain more chances to overdo your competitors in your business niche. Price: You can get 7-day trial for $7, or go for the full version from $99/mo. 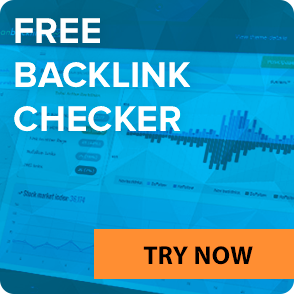 This is probably the best backlink checker we’ve had to use. It can boast with a very powerful functionality which yet is available in free of charge variant. Basically, Ahrefs analyzes incoming backlinks. So you apt to explore your competitors’ referential mass and work out or boost your link building strategy. An easy start: just insert a domain address in “Backlinks” section and in a minute you’ll get all the information on the incoming links of the target domain. Ahrefs also fleshes out vital parameters of backlinks such as image links, dofollow/nofollow, phrase anchors etc. Moreover, the valuable information is represented in graph form and is easily digestible. In-depth analysis can be found on other tabs. Using extra filters, you can easily sort out various parameters. Available option to export all the received info in csv format. 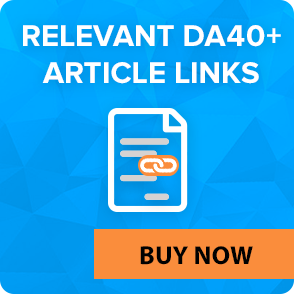 “Other instruments” that will play a pivotal role in your backlink report, comparison of domains options from Ahrefs to monitor the activity of your brand, particular term/keyword. “Comparison of domains” function is an extremely useful tool that allows comparing 5 domains at a time. SEO-reports are great since we can deliver them to our customers so to give them the most comprehensive information on their websites. Eventually, Ahrefs totally worth its cost. One more backlink checker we’d like to take a moment to is Majestic. It works similarly to Ahrefs and other backlink checkers, but still it has a few features that we have a soft spot for. 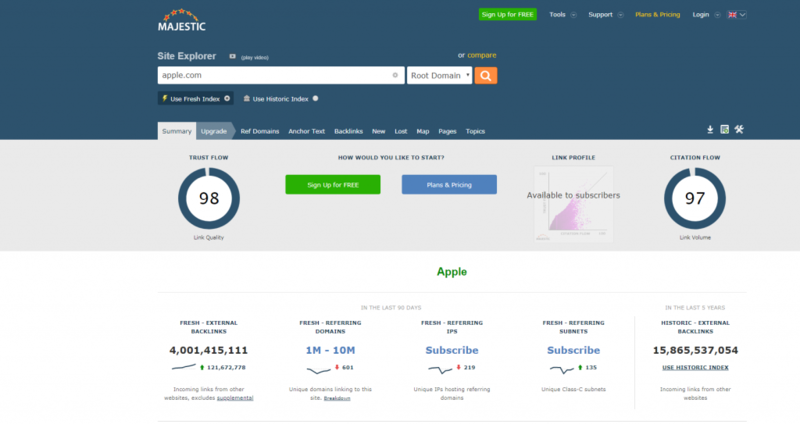 The best part is that once you sign up you can use the service to analyze your site for free. And in case you want to know what’s going on with your competitors’ websites, you’ll have to pay then. You can export the obtained report in excel file. Our SEO specialists also point out that the tool is quick, and with a bunch of filters you can carry out better analysis and get the separated search of edu&gov domains. However, the interface isn’t the easiest one. You’ll have to urge your way through the complex set of advanced features. Still, this is the matter of time and habit. Price: Minimal fare will cost you $19.97/mo for beginner plan, $29.95/mo – for basic plan, and $39.96 – for advanced plan. ScanBacklinks name speaks for itself. And if you just started your long and dusty SEO way, this tool will come in handy! Nevertheless the tool functionality of the tool is enough only for websites with up to 200 pages, you’ll like it for concise and visual manner it represents all the info you need. 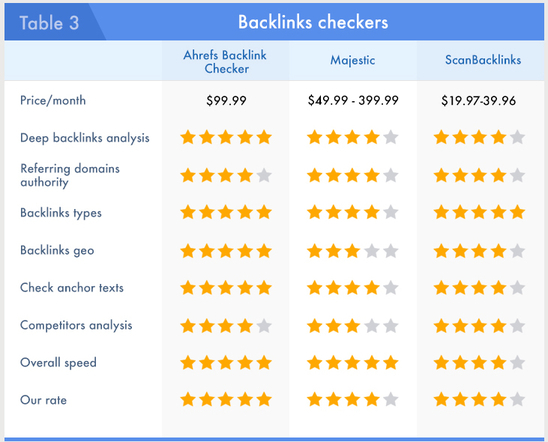 With ScanBacklinks, you’ll learn where you might be losing your money, spot unnatural backlinks distribution, start fixing usability faults, and get more visitors to your website. Plus, the interface is super easy and clear, which is vital for beginners, and handy for experts. Try it and see for yourself! Before making any improvements you have to clearly understand your starting point. In other words, you have to make your success measurable. And without your ranking tracking it’s impossible. Moreover, website rankings are constantly dancing and you should always control your website performance. Whether your website has already been getting high positions in search results or has just begun reaching the top of the SERP, you should always know where it is in the SERP. Rank tracking also helps you find out how your competitors are ranking in SERPs and find the best ways to outrank them. Before you find the right keyword ranking tool for your SEO needs, you can try out a recommended list of 3 tools that can help you get the most accurate results and improve your website performance. Price: You can choose to pay on a monthly or annual basis for SEMrush services, and choose between Pro, Guru, Business, or Enterprise plans. Each plan includes the position tracking function. Prices start from $99.95 to $399.95+ depending on the plan. Basically, our SEO specialists use SEMrush Position Tracking tool to control national, regional, and local SERP for any keyword. The best part is that the provided data on your website position is updated on a daily basis, so you’ll always be in a picture of your website ranking. SEMrush Position Tracking tool is the best reflection of your SEO efforts, and the vital thing to track your competitors so to provide you with the data for comparison. Price: There are 3 available plans – for small business it’s $49 / mo, for agency – $99 / mo, for enterprise – POA. Still, they they a free trial. SERPs.com is a web-based tool for those who want to monitor keywords of a separate website or customer. The tool provides you with the daily statistics on your keywords performance. This might amaze your boss or customer. Plus, you can immediately see what happens after you implement any changes in your SEO campaign. And we cannot but mention the easy customization – you can see an exhaustive ranking statistics for each keyword over a given period. This might be the biggest selling point of SERPs Keyword Rank Checker. One of the real downsides of the tool is that it lacks PPC/CPC ad tracking. 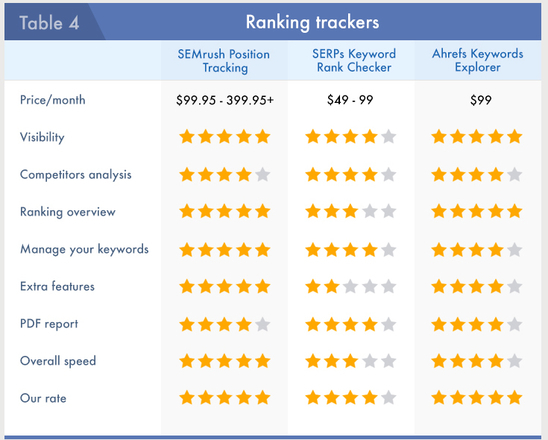 Ahrefs Rank Tracker helps you can track your website progress in SERPs. This tool is great since you can get handy reports every day, week, or month. Plus, one of the biggest advantages for us is that you can track your site’s rankings in any location. Ahrefs also delivers a handy interface for both mobile and desktop. And they definitely allows you to take a glance at your ranking history. We also like the feature of scheduled email reports. You don’t have to visit the website to keep control of the website rankings changes. Just a perfect feature for oblivious SEOs. SEO tools speed up and automate a lot of SEO tasks associated with the increased level of traffic. Having trusted tools as your ammo will let you do more in less time and with less money spent. However, the SEO tools market is oversaturated. And oftentimes it is a challenging task to choose the best SEO tool that deserves to be invested in. So if you are looking for just the perfect variant, consider the following 9 questions. How much are you going to invest? This is one the major questions by far. The list of SEO tools varying from free to $1500+/month is endless. So you really have to decide how much you are going to spend per month. As you decide on your budget, you’ll immediately cut down the long list to think over. Are you ready to spend your time on the data analysis? Be mindful that there is a plenty of decent SEO tools that give you a great load of info on your website. All you have to do is just plunge into all these numbers and stats to figure out what’s going on with your website. Are you ready to spend your time and mental energy on this? Would you rather choose an all-in-one tool or a specialized one? This is just a matter of preference and SEO needs. If you want to improve any specific area of SEO, whether it’s backlink profile, on-page optimization or keyword research, you might try a tool devoted to this single area. But if you’d rather be in a picture of your website performance in general, consider an all-in-one tool. Does your SEO tool suit your website size? If you run a large corporate website with more than 50,000 pages, you’ll have to deal with a lot of tasks that are still unknown for the small websites. So even if you want to invest in the best SEO tool, there might be no point in it. What features are the most important for you? Before you even start searching for the SEO tool, you have to clearly decide on the features you want to receive. It will help to prioritize and make a right choice. How are you going to implement the received SEO insights? The truth is that around 74% of website owners do nothing to improve their websites after they receive the analysis or SEO insights. Do you have a team of SEO specialists who know for sure how to bring the recommendation into action and make your website grow? How does this SEO tool integrate with other tools? Automation and integration in online business is becoming even more important than ever. We started using a bunch of tools that have to perfectly round each other out and help us reach the SEO goals. So take careful attention to the flexibility of the tool you are going to use. What about asking a professional SEO for advice? You may find many reviews and testimonials on SEO tools in the Internet. Definitely, such research will take time. But usually you’ll find the most answers to your questions concerning this or that SEO tool. Have you considered the extra goodies? When you finally come down to a several SEO tools to choose between, you definitely have to check them for any extra benefits. It may be anything from 24/7 online support, hands-on guides to trial versions at no cost or e-learning materials on the matter of SEO. Each tool we described has different merits and flaws, so our SEO team frequently uses them altogether. You can do the same too if it fits you. Or you can stick to only one or two SEO tools that will be completely adequate for your SEO day-to-day needs. Anyway, we sincerely hope that as you read this guide, you’ll discover a couple of useful tools that are definitely worth to be used while dealing with SEO mundane tasks. Each of these tools provides you with the results that will help you drive your business strategies and priorities to the next stages. Stay tuned to reveal even more SEO gems! And what tools are the best to your opinion?